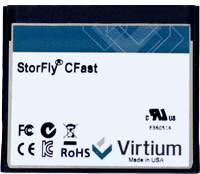 CFast 2H-M is the latest enhancement of conventional Cfast form factor that delivers various technological advantages. 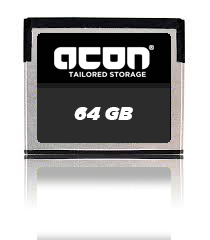 This new flash memory card comes with SATA 6.0 Gbps interface for higher performance and is compliant with standard Cfast specifications. 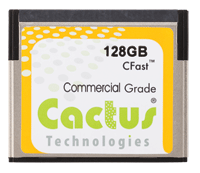 Cactus Technologies Commercial Grade CFast are reliable, cost effective flash storage devices, based on MLC NAND. They are intended for applications which demand very high performance in a rugged small foot print form factor qualified and guaranteed to MIL-810 Standard shock and vibration. The Innodisk CFast 3ME3 operates at SATA III 6.0 Gb/s, which offers data transfer rate of read up to 220MB/s. 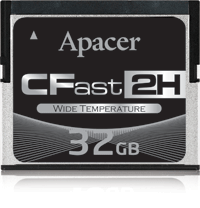 and of sequential write up to 130MB/s. 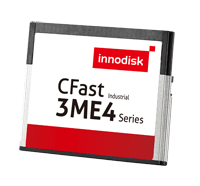 Innodisk CFast 3ME4 is characterized by L³ architecture with the latest SATA III (6.0GHz) Marvell NAND controller.